Muffins also known as quick bread can be easily prepared in no time. 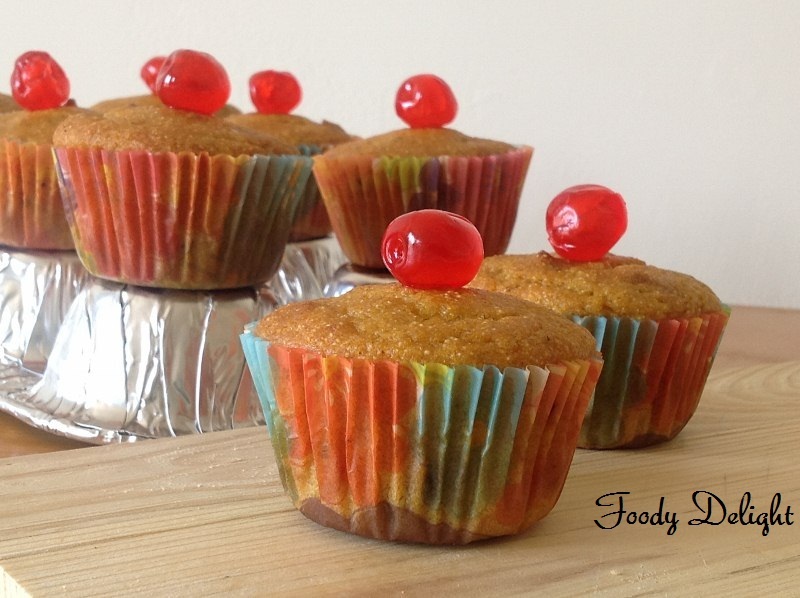 Fruits,vegetables and nuts can be used to give different flavors to your muffin. 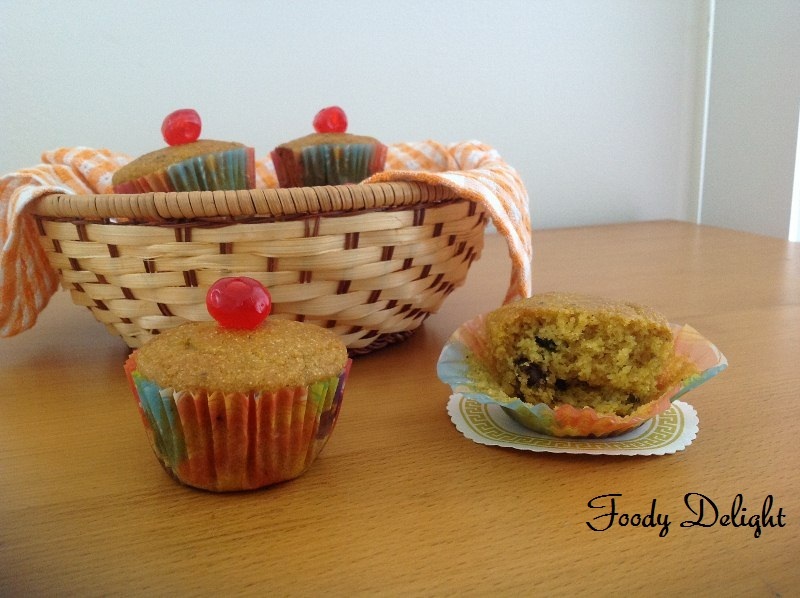 I tried the the Muffin made up of fresh mangoes and walnuts.These muffins are nutritious,as I have used whole wheat flour which is the gluten free. 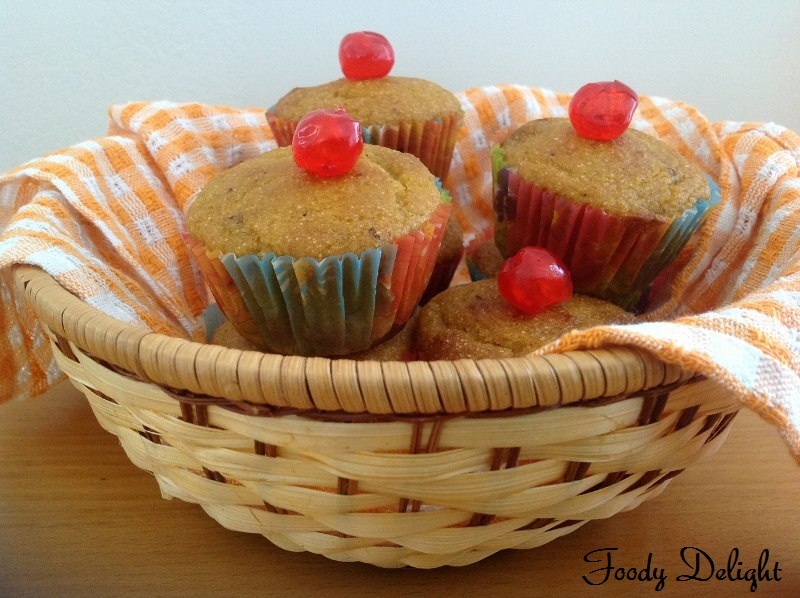 Muffins are good alternative for breakfast or snack at tea time. Mix all the dry ingredients .i.e whole wheat flour,semolina,baking powder,baking soda and cardamom powder in a one bowl.Keep it aside. Now drop the dry ingredients into wet ingredients and mix gently using wooden spoon. Mix chopped walnuts and just fold them into batter. Pour the batter into muffins cups and level it using the spoon. Bake them for 20 minutes or until the tooth pick comes out clean when inserted. Take them out of the oven and cool them on wire rack. you have made it healthy & tasty! Nice pics Pranjali.., they look really yummy.. 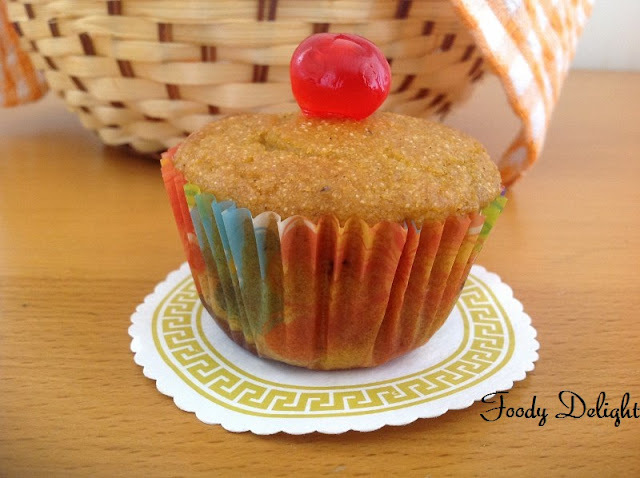 I have made a steamed cake before with the same ingredients, but never have baked one. wow tht luks YUM YUM..and wheat + semolina gives it a healthy touch..will try it for sure.Nyc blog n Butiful presentation..Keep it up. 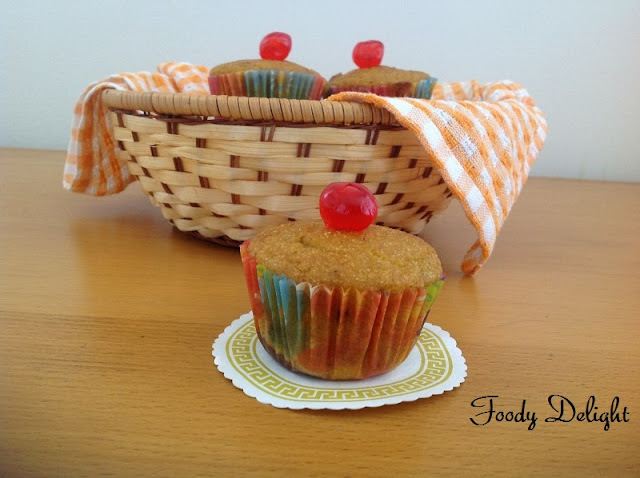 Never tried mango in muffins...Glad to be in ur space and to follow..
muffins look absolutely delicious dear...loved the clicks !!!! I've never made a dessert with mango, I only tasted it as a fruit! this must be divine! Have a wonderful weekend my friend! Love using fruit in muffins - the mango is a grand idea - delicious and healthy! Wow.. the combination is quite tempting, whole wheat and mango!! Loved you blog. Simple, beautiful and useful for all.. thanks. Keep it up!